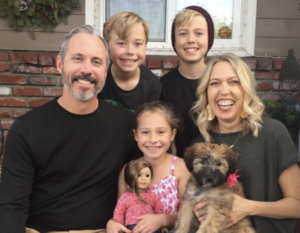 CRU Eastwood: Jon and Ammie Eastwood are missionaries with Campus Crusade for Christ (Cru). Cru has been mobilizing, training and sending individuals to be a part of helping to fulfill the Great Commission for over 60 years. The Eastwoods have been part of Cru since 1999. They are now back in San Diego and passionate about coming alongside young professionals who desire to transform their world both locally and globally. For the past decade, their focus was on equipping the 3% of university graduates that go into the mission field. They even went to Dublin, Ireland themselves for a couple of years. The Eastwoods are now focusing on the 97% of graduates who live out their calling in the context of the marketplace, specifically in cities. Their aim is to participate with the local church to engage in the transformation of the City by helping graduates transition into the marketplace, mentoring young professionals, and connecting Sunday worship to Monday work.